Bizarrely at the start of the Pension Committee all members of the public were asked to leave by the Chair (who seemed to conveniently forget that the public have a legal right to be there). When it was pointed out by another councillor that this was irrelevant to the issue of filming the meeting, Cllr Harry Smith just looked even more irate, seemingly unused to any councillor (or in fact anybody) having the temerity to tell him he was being irrelevant. When the public returned Cllr Ann McLachlan read out a recommendation that at least from where I was sitting couldn’t be heard. Another councillor then tabled an amendment to “current Committee meeting” as it was subject to a review. Cllr Adrian Jones asked him to repeat what he’d said as he hadn’t heard it. He repeated it, Cllr George Davies shouted “current” at Cllr Adrian Jones followed by the Chair saying “at the moment”. Despite separate votes being required for the amendment and resolution only one vote was taken, 8:5 on the amended resolution. There seems to be a little history between you & councilor Harry Smith & looking through your blogs it would appear that the councilor is full of himself & appears to be left of Stalin in his political beliefs. His arrogant attitude & loud mouth has had him suspended from the council in 2009 for 5 days for a foul mouth tirade & everything he has done since shows him a bully & loudmouth & has a personal hatred for anybody other than members of his own party & even with them he has scant regard. I have met people like Mr.Smith in my own life & have stood up to them & their bluster. There is word for them but I cant put it in print but the sooner these loudmouth’s are put in their place the better & I suggest that if filming is resumed please don’t point the camera at him,just the sound will do & let him pick up his £16k plus expenses & ignore him. Yes there’s a history, but you’re a harsher critic of Cllr Smith than myself. 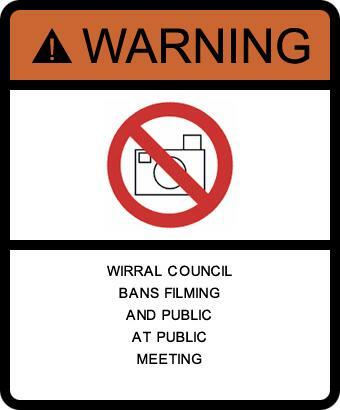 Filming was resumed tonight, Cllr Harry Smith wasn’t there.